“I don’t know what I would have done without the scholarship,” says the standout SJSU quarterback. “I’m very fortunate.” As is Spartan football. 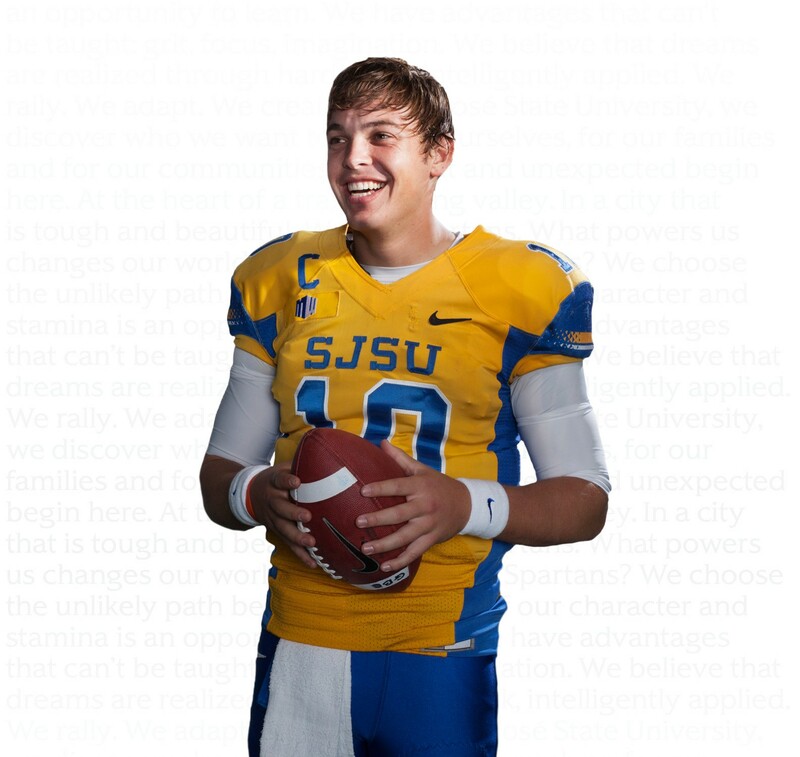 Transferring from a junior college, where he shouldered the cost of his education, Fales, ’13 Psychology, came to SJSU on a football scholarship in 2011 and became a single-season record holder in seven categories. In 2012, he led the Spartans to an 11-2 record—throwing more than 4100 yards and 33 touchdowns with a pass completion rate of more than 72 percent—that culminated in a Military Bowl win and a move to the Mountain West Conference.